The Wine team is proud to announce that the stable release Wine 1.6 is now available. This release represents 16 months of development effort and around 10,000 individual changes. The main highlights are the new Mac driver, the full support for window transparency, and the new Mono package for .NET applications support. 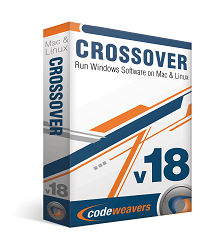 You can save 30% off CrossOver 12.5 by using UNITY as your dealcode in CodeWeavers store! or bitmaps gives identical results. - Common dialogs correctly scale with the screen DPI resolution. displayed on the desktop, and can be used to launch applications. and for multiple help windows. - Input validation is improved in the date and calendar controls. supported, e.g. when running remotely. built or used on 10.5.
libraries internal locking for thread safety. - XRandR versions 1.2 and 1.3 are supported. copying only the modified portions of a bitmap. - OpenGL rendering is supported in device-independent bitmaps using libOSMesa. - Brush dithering is implemented in the DIB engine. - Path gradients are implemented in GdiPlus. palette formats, and meta-data support for various image types. the system anti-aliasing configuration from FontConfig. - Dynamic loading of scalable font resources is supported. adjustments. Right-to-left text handling is also improved. of glyphs in the existing fonts, notably Arabic glyphs in Tahoma. - Bi-directional text support is improved in the RichEdit control. - The raw input API is supported for keyboard and mouse input. configuring joysticks and testing their behavior. - Force feedback is supported for Mac OS X joysticks. will be removed in a future release. make timers more robust against system time changes. - File times are reported with nanosecond resolution. - Wine can be configured to report the Windows version as 'Windows 8'. automatically installed on Wine prefix updates. - .NET mixed mode assemblies are supported. is not good enough yet. - The typelib writer is reimplemented for better compatibility. - OLE DB supports more data types and conversions. 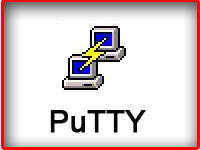 - HTTPS connections use GnuTLS (or Secure Transport on Mac OS X). OpenSSL is no longer used. - Security certificate validation errors are handled better. - NTLM and Negotiate authentication protocols are supported. - ActiveX controls can be downloaded and installed automatically. through the registry or with the no_proxy environment variable. is needed for some networked multi-player games. - The Server Name Indication TLS extension is supported. 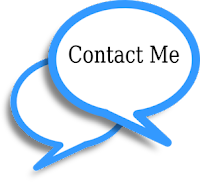 - Punycode encoding for Internationalized Domain Names is supported. is preferred over the Gecko one in most cases. - The Gecko engine is updated to the version from Firefox 21.
installation in multiple Wine prefixes without additional downloads. - Various Direct3D 9Ex display mode handling functions are implemented. - Direct3D 9Ex style video memory accounting is implemented. the graphics card is not already in the WineD3D database. implemented in a more efficient way. detailed debugging output from the OpenGL driver. rendering to frame buffers in the sRGB color space. surface / texture format capabilities. - There is an initial implementation of a HLSL compiler. loading, saving, filling, and rendering to surfaces and textures. - The constant table implementation. - A number of spherical harmonics functions have been implemented. - Support for .x files. - Support for more shader model 4 opcodes and register types. - Support for shader model 4 indirect addressing. - Initial geometry shader support. - Improved binary effect parsing. DDLOCK_DISCARDCONTENTS, resulting in improved performance in some cases. - DirectSound has a better resampler. - VMR-9 video rendering is implemented. - Printing resolution can be configured from the print dialog. - Simulated italic fonts can be printed. - Japanese vertical text is correctly supported. Arabic. It has partial translations for another fifteen languages. loading translated font names from Mac OS font files. - The 'cabarc' application supports multi-cabinet archives. - The 'attrib' application supports recursing in sub-directories. - The 'ipconfig' application can display IPv6 addresses. - The 'start' application allows setting process priority and affinity. comparison operators, and various extra features in 'for' loops. each dependency to override pkg-config where necessary. portable C code for them. one for better header compatibility. possible, for better compatibility with the Clang tool chain. - The Winedump tool can display the contents of typelib files. - On Linux, dynamic device management supports the UDisks2 service. - On Mac OS X, the Recycle Bin is mapped to the Mac OS Trash. - Building Wine for the ARM64 platform is supported. - The DragonFly FreeBSD variant is supported. - The Alpha and Sparc platforms are no longer supported. range of WBEM system classes. feature added in Windows 8.
math functions and the stream classes. - LibOSMesa is used for OpenGL rendering to device-independent bitmaps. "ClientSideGraphics" to "N" under HKCU\Software\Wine\X11 Driver. "Graphics" to "x11" under HKCU\Software\Wine\Drivers. disables support for the corresponding shader type, like "VertexShaderMode"
by setting it to "disabled". The Wine development release 1.6-rc5 is now available. 14154 Cyrillic chars in chm help displayed incorrectly. 23882 AvP hangs/crashes with GLSL out of memory.